Warframe is another coup for Nintendo. Sometimes a port can be excellent, and yet somehow not that ideal for the platform. That was how I felt after playing Warframe on Switch last month, which left me both impressed and with a bit of a headache. 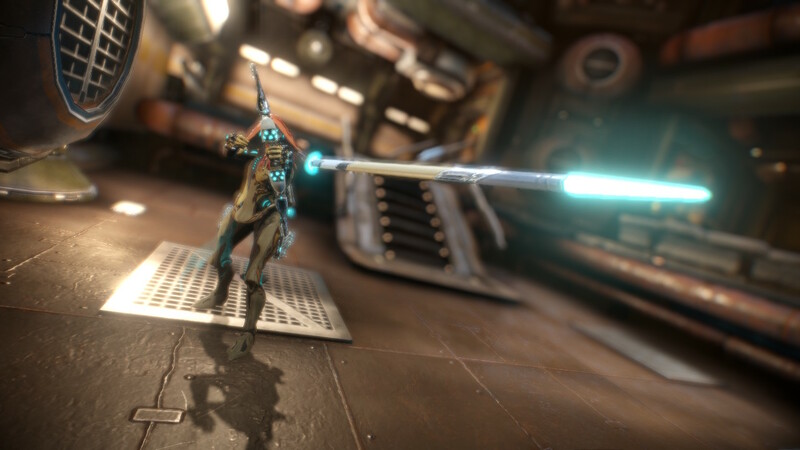 A free-to-play third-person shooter developed by Digital Extremes, Warframe has enjoyed outsized success on PC, PS4, and Xbox One since launching in 2013, just recently setting the record for concurrent users on Steam. It's notable for its high-speed combat, which sees players take on the role of alien cybernetic ninjas who bounce off walls while shooting enemies. 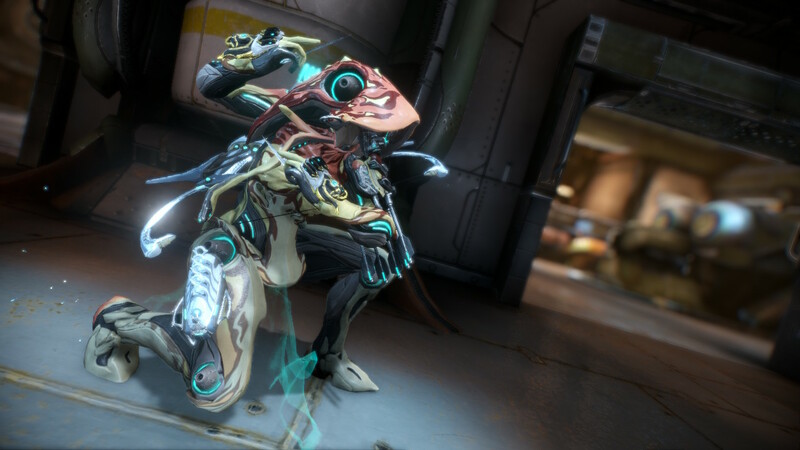 Something of a hodgepodge of mechanics, Warframe features everything from an extensive crafting system to fishing (even space ninjas enjoy a relaxing day on the lake). The latest expansion, which was released earlier this month, adds such diverse elements as animal hunting and hoverboarding. Until late last year, porting it to Nintendo Switch felt like a "pie in the sky" endeavor, says Digital Extremes assistant producer Mark Ollivierre. It was Panic Button's work with Doom that ultimately convinced Digital Extremes that it was feasible to port it to Nintendo's platform. A year later, Warframe is well-positioned to expand its empire on one of the hottest platforms around. So, the good news first : Warframe looks and plays great on Switch. Developed by Panic Button, the studio behind the successful Switch ports of Doom and Wolfenstein, it suffers nary a hitch even in handheld mode. Featuring Panic Button's signature motion controls, it's as fast and fluid as it is on PC and console. It's so good, in fact, that it's actually resulted in performance increases on other platforms. That's the good news. The bad news is that it's kind of the opposite of Diablo 3, which feels like it was made for the Switch. Where Diablo 3 can be enjoyed basically anywhere, Warframe is tethered to a wi-fi connection. And where Diablo 3 is a fairly simple point-and-click RPG, Warframe is an extremely fast-paced third-person action game. Playing on handheld, I found myself straining to read the reams of tiny text as I parsed multiple layers of menus. I found the colors blending together amid the blur of the action, making it hard to pick out enemies from the background and traverse the levels. At times it felt almost too big for the platform, at least in handheld mode. Warframe is a game that has long thrived on this sense of speed—something that can feel overwhelming when playing on a small screen. Add in the online requirement, and a large part of the Switch's appeal is effectively negated. If I can't easily take it on the road and play with my friends, it's a much harder sell on Switch. Of course, the beauty of the Switch is that it bridges the gap between handheld and portable, making it perfectly playable on the TV. For those who own a Switch and nothing else, this is an opportunity to play one of the hottest games of the generation for the first time. And on the larger screen, it certainly holds up. It may well end up being a trendsetter on Switch in the long run. The success of Diablo 3 and Fortnite have shown that service games can work well on Switch, and Warframe is bound to follow in their footsteps. And despite the recent introduction of Switch Online, Warframe will remain entirely free-to-play, meaning you won't need a subscription to access the online elements. At the outset, Warframe will be behind the other versions in terms of othe versions, but Ollivierre says it should hit parity relatively quickly. After that, the PC will remain the vanguard testbed for the series, but Switch should receive content on roughly the same schedule as PS4 and Xbox One. Some of it will depend on figuring out the cadence of Nintendo's certification and release schedule, which is something every developer has to contend with on a new platform. Existing players on PC will be able to port their profiles to Switch, much as they can with the other consoles, but if you're hoping to import your profile from PS4, you're out of luck. Similarly, while cross-play isn't entirely off the table ("It's a conversation we have almost everyday in the studio," Ollivierre says), it's not happening anytime soon. The tech problems remain daunting. But despite that, it's clear that Digital Extremes and Panic Button are doing all they can to make Warframe the best they can on Switch. I'm not sure it would be the first platform I would buy it on—I'm almost exclusively a handheld player, and the eye strain is just too much—but that doesn't change the fact that it's an excellent game that otherwise runs very well. For Nintendo, getting Warframe is quite the coup. It makes the Switch less like a quirky handheld, and more like an equal player with the other consoles. It brings hours upon hours of content to the platform, basically all of which is free, and it's updated regularly. Between Warframe and all the other games flooding Switch right now, the platform certainly isn't wanting for content. In that respect, I guess it doesn't really matter whether or not it's fun to play on handheld. And maybe that's the truest sign that the Nintendo Switch is well-positioned for long-term success. Warframe will be out November 20 on Switch. Tagged with Digital Extremes,	Feature,	Panic Button,	Switch.